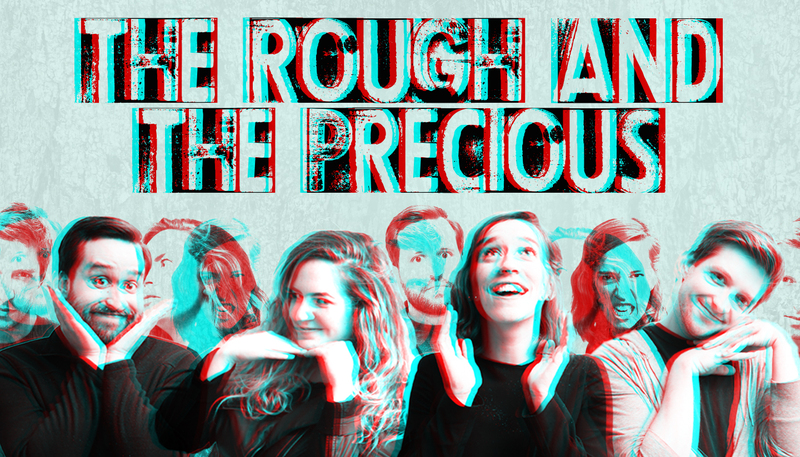 “The Rough and the Precious ”, an original sketch comedy revue, will be performed in the Blackout Cabaret at the Second City Training Center on Friday, September 15 and 22 at 7:30pm and October 6 and 13 at 9pm. “The Rough and the Precious” proves wine is science, God made parasites for some reason, and there’s a place upstate where you can drink lemonade ‘til you fall asleep. This quick, smart sketch comedy revue brims with original songs, biting satire and love. “The Rough and the Precious” is directed by Heather Bodie and written and performed by Ben Auxier, Brian Huther, Molly Kessler and Michelle Leatherby. Director Heather Bodie founded the Fine Print Theatre in 2010 and is the current Associate Artistic Director of Erasing the Distance. Ben Auxier and Brian Huther started producing sketch comedy as “Friend Dog Studios” in 2013 with multiple viral videos including “Your Drunk Neighbor: Donald Trump” and “2016: The Movie”. Molly Kessler is a current student in the Second City Conservatory and recently co-wrote and performed “Hysterical Fiction” at the Second City Training Center and iO. Michelle Leatherby is a graduate of the Second City Writing Program and a Mary Scruggs Fest award winner for outstanding sketch writing.